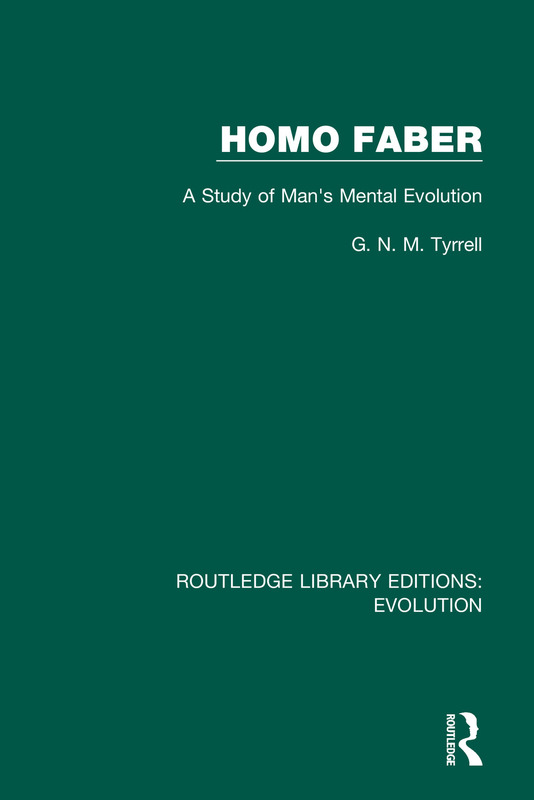 Originally published in 1951, Homo Faber is an examination of the scientific outlook on human mental evolution through the lens of parapsychology. The book aims to undermine what its terms, the ‘scientific outlook’ examining the human interpretation of the world, and the preconceived scientific concepts that reality does not extend beyond the realm that our senses reveal. The book expands upon this and moves to examine the broader human understanding of the entire cosmos, challenging the scientific conception that this can be grasped in principal by human intellect, arising from the chance combination of material particles. The book argues that the scientific outlook prevents humans from discovering in the Universe the meaning and purpose which are everywhere to be found if sought in the appropriate contemplative states of mind. This book provides a unique take on the examination of human psychology and the evolution of the brain from an alternative scientific stance. It will be of interest to anthropologists, historians and psychologists alike.